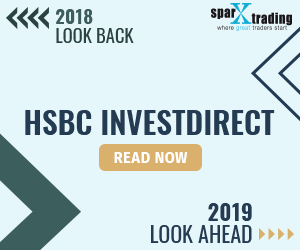 InvestDirect by HSBC (short for Hongkong and Shanghai Banking Corporation) is one of a very small number of discount brokerages that lets you trade on North American stock exchanges as well as on the Hong Kong stock exchange. HSBC InvestDirect is an interesting option for individuals looking to do overseas stock trading as well as trade on North American markets. One thing that has to be factored in for pricing is the foreign exchange rates as InvestDirect doesn’t offer US dollar registered accounts (TFSAs, RRSPs and RESPs). The pricing and account balance and trading volume requirements for best commission pricing have been lowered to be more competitive with the other Canadian online discount brokers. There are some inactivity fees that are levied if either your account balance falls below $10,000 on non-registered accounts and/or if your trading activity is less than once per quarter. That said, from pricing perspective, if you are an active trader that wants the flexibility of international trading, you may want to consider HSBC. If you are not as active a trader, you may want to understand what your investing/trading requirements will be on a monthly basis to see if HSBC InvestDirect is the most cost-effective option.HSBC InvestDirect is a subsidiary of HSBC Securities Canada Inc. and is the online brokerage of HSBC Bank Canada. HSBC InvestDirect is the only online trading platform in Canada to offer access to 30 domestic and international markets and to settle transactions in 10 different currencies. Clients can access a full range of investments – equities & ETFs, options, mutual funds, fixed income, GICs and new issues (IPOs). Some of the many benefits of HSBC InvestDirect include unparalleled global reach, best in class pricing, award winning client service, an exclusive banking and brokerage combination and a platform with exciting tools and features. In late 2017, HSBC InvestDirect introduced flat rate pricing of $6.88 per trade for online North American equity trades with commissions for options of $6.88 + $1.25 per contract. Clients qualify for ‘Active Trader’ status by completing 150+ trades per quarter and enjoy $4.88 pricing with commissions for options set at $4.88 + $1.25 per contract. You can hold direct-trading, registered, foreign currency, personal, corporate and more. Registered account options include: TFSAs, RRSPs, RRIFs, RESPs, LIRAs / LRSPs and LIFs / LRIFs. For registered accounts you cannot use margin or short stocks. Options trading in registered accounts is limited to buying and selling options and there is no writing of options allowed in these accounts. In the non-registered investment account category, clients advanced options trades can be made and stocks may also be shorted. This topic contains 1 reply, has 2 voices, and was last updated by Edward Chow 2 years, 7 months ago. I have 3000 shares of Cathay Pacific Airways and would like to sell them at the lowest commission. Please advise whether I have to open an account in order to sell the shares. If I have to open an account please send me a PDF application. This reply was modified 1 year, 6 months ago by Ken Y.